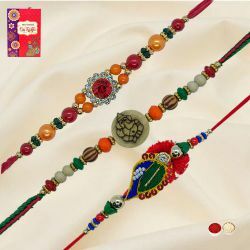 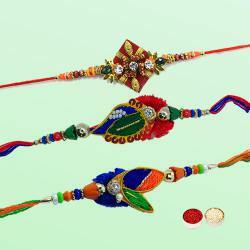 Raksha Bandhan is approaching near and brothers n sisters are in search for that perfect Rakhi Gift. 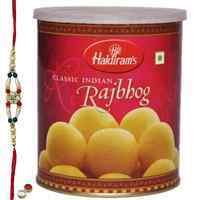 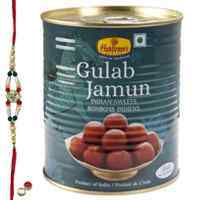 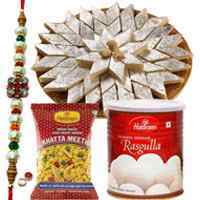 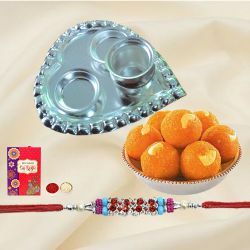 Our online store offers an extensive range of Rakhi Gifts including traditional Pooja Thali, Sweets, Chocolates etc available at Low Price. 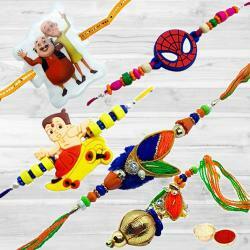 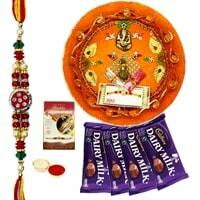 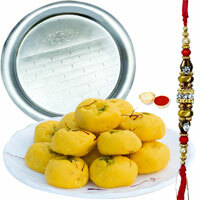 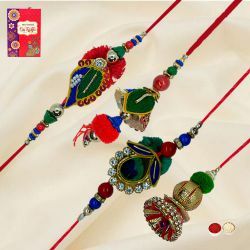 Order now and avail Free Home Delivery of Rakhi Gifts to Uttar pradesh. 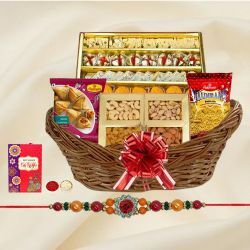 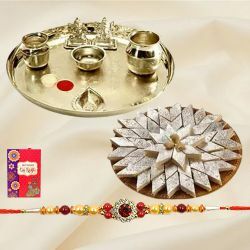 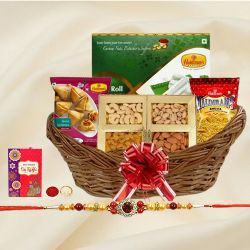 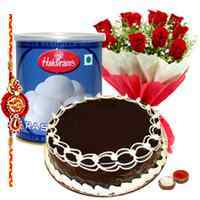 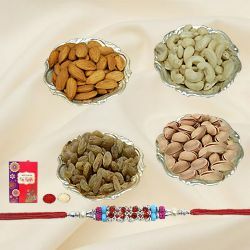 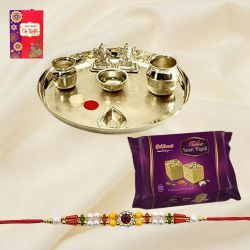 Send Rakhi to Uttar pradesh along with Sweets, Chocolates, Pooja Thali & other Gifts for Raksha Bandhan for your Bhaiya & Bhabhi, Online at low price and with free shipping. 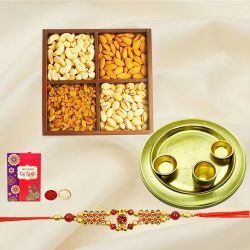 We guarantee the delivery of premium Rakhi Set & designer Lumba on or before 15th August 2019. 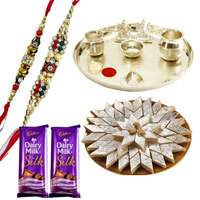 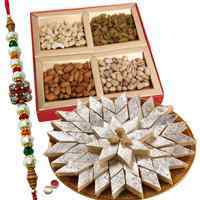 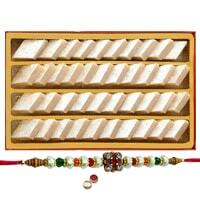 Get Rakhi, Sweets, Dry Fruits and Gifts decorated in Rakhi Thali and Send for Brother in Uttar pradesh. 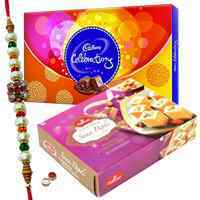 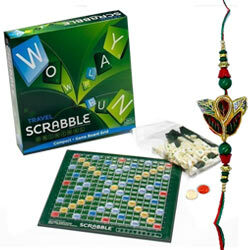 Gift your Brother amazing Combo of Kids design Rakhi with scrumptious Chocolates to Uttar pradesh. 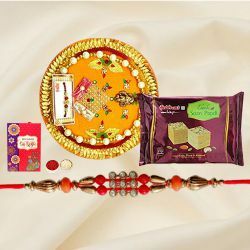 Surprise Bhai Bhabhi in Uttar pradesh with Rakhi-Lumba Set N tasty Kaju Barfi, Motichur Laddoo Sweets.